Oasis Townhomes on Lawrence is a new townhouse development currently in pre-construction at 599 Lawrence Avenue West in Toronto, Ontario by Bazis Inc. These are proposed contemporary townhomes and sales for available units starts from the mid $300,000's. Oasis Townhomes by Bazis Inc. will have a contemporary design and these townhouses will have rooftop gardens and private backyards. Situated on Lawrence Avenue West by Englemount Avenue in the Englemount-Lawrence neighbourhood of Toronto. This is a family-friendly neighbourhood and there is a large Jewish population here as well. Homes here consists of semi-detached and detached homes as well as low-rise buildings. With the redevelopment in the area, more condominiums are being constructed giving this community a facelift. This neighbourhood is bounded by Highway 401 to the north, Allen Road to the west, Bathurst Street to the east and Briar Hill Avenue to the South. 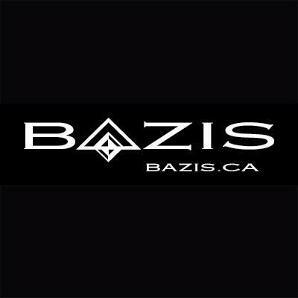 This new townhouse development by Bazis is located to the south of Highway 401 and to the east of the Allen Road. These townhouses will be situated along Lawrence Avenue near accessible public transportation with the Lawrence West Station just a few blocks away. 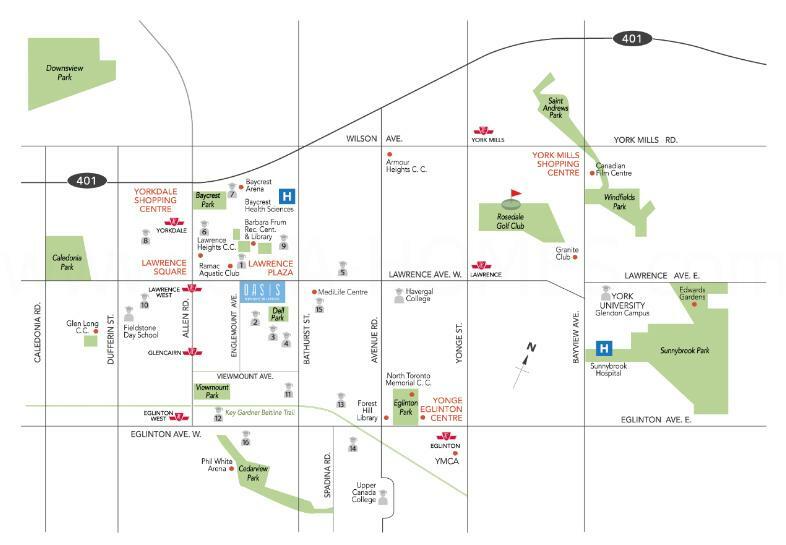 The Oasis Townhomes is also just one subway stop away from the upscale Yorkdale Shopping Centre where you can find brands such as BCBGMAXAZRIA, Burberry, BVLGARI, Cartier, Chanel, Coach, Gucci, Harry Rosen, Jimmy Choo, Lacoste, Louis Vuitton, Michael Kors, Swarovski, Tesla Motors, Tiffany & Co. and Versace. The Downsview Airport and the Downsview Park which is "Canada's first urban national Park" where many events have taken place is located about 7 kilometres to the north of this development site. Oasis Townhomes on Lawrence will be developed by real estate developer, Bazis Inc. They have projects throughout the Greater Toronto Area and have become "a major force in articulating the city's ever evolving skyline". They are also "committed to excellence in every facet of the commercial and residential real estate development process". Competence, integrity, vision and responsibility are their core values and Bazis is proud to be in a class of their own. Some of their projects include the E Condos by Yonge and Eglinton, Emerald Park by Yonge and Sheppard, 1 Yorkville near Yonge and the Crystal Blu by Yonge and Bloor. Oasis Townhouse on Lawrence has a walk score of 75 out of 100 which means it is very walkable where one can do most errands on foot. It has a transit score of 82 out of 100 which means there is excellent and convenient transit and a bike score of 80 out of 100 which means there are good bike lanes and the roads are smooth. 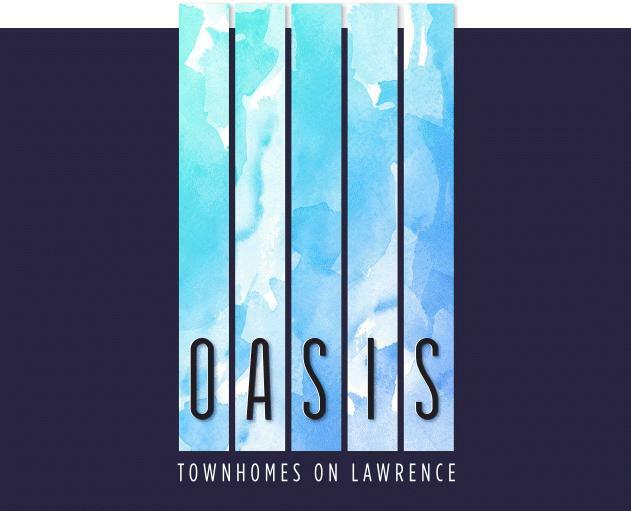 Register with us today for more information on the Oasis Townhomes on Lawrence by Bazis Inc.! 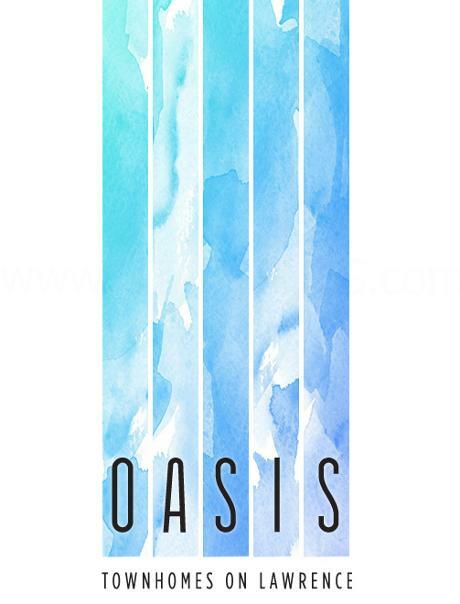 Oasis Townhomes on Lawrence Floor Plans and Price List will be available soon. Please call or complete the registration form to get all the info and to register now for the Platinum VIP Preview Sales Event. Category: Townhomes Platinum VIP Client Incentives: Developer and Platinum VIP Broker Incentives, Promotions and Much More.